It is that time of year when we all try to put in a little extra effort to spread joy and help those in need. We have put together a great opportunity to help you finish all the shopping on your ‘nice’ list, as well as give back to your community. If so, we would like to help you raise $$ while you finish your Holiday shopping. 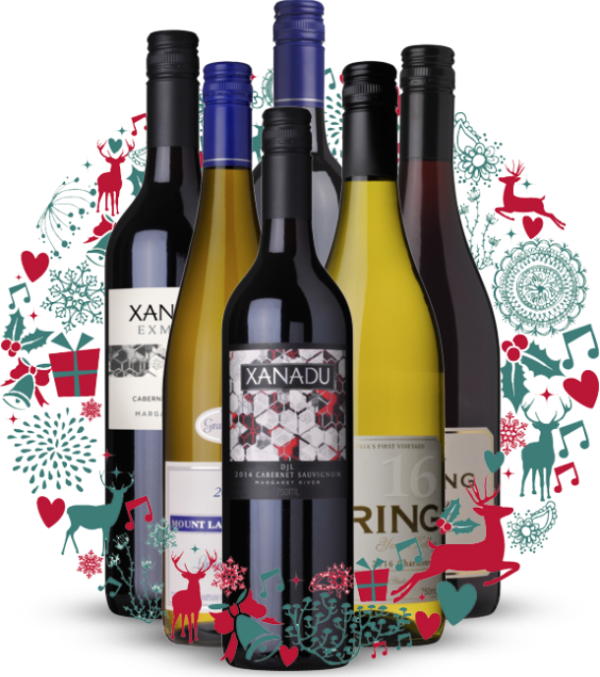 WineCollective and Canada Craft Club have built a significant following for our yearly Holiday Gifts – they are jammed full of delicious boutique wines and craft beer, super savings and bonus treats! We would like you to help us sell more Holiday gifts, and reward your cause for helping us spreading the word. In the past, we have partnered with alumni associations and non-profits to help share our awesome Holiday Gift ideas with more people, and in return, we give back to these organizations. We ship across the country – expanding your reach and opportunity to fundraise from coast to coast. Reach out to us and let us know about you and your group, and your fundraising goals. Let us know how you plan to spread the word. You will receive a custom coupon code to share with family, friends, co-workers, or whoever you want. We will provide you with the information needed to share on your social media and email list. The coupon code will give the user $20 off their Holiday gift purchase*. AND each time the coupon code is used, your group will receive $20. You have until December 31st to get as many purchases as possible. And then you are paid! Excitement – Let us know you are really into this opportunity! Marketing – Let us know how you would promote this offer and encourage people to support your initiative. Communication – Keep in touch. We will do our best to help support you in whatever way we can to make sure this is a success for everyone. 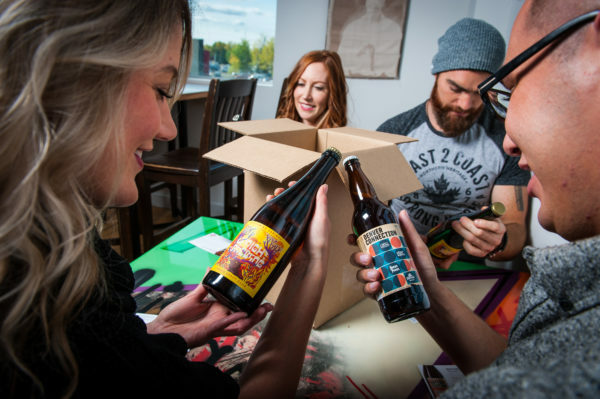 We think this is a pretty easy fundraiser, who wouldn’t want to give the gift of wine or craft beer delivered to your door each month? Your friends and followers can do their Holiday shopping and donate to a good cause at the same time – what’s better than that? Are you interested? Get in touch and we can provide more details, learn about your mission, and find the best way to help you, help us! *Minimum spend required to apply coupon codes. We’re so excited to watch the beautiful leaves fall, don our cozy sweaters, and wander the dog park without fighting the dog into snow booties. 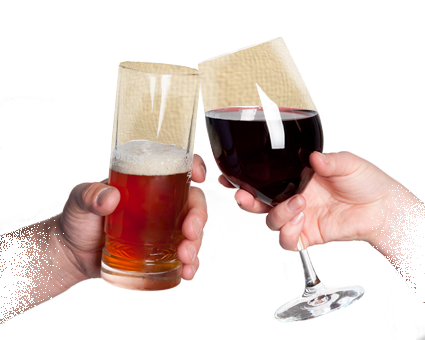 For anyone attending classes, teaching students, or paying for those things to happen (parents, you know what I’m talking about) we offer a toast to you! Parents, we suggest starting September with an optimistic approach called wineglass half-full (or full, we’re not judging.) As the maker of meals, official chauffeur, number one fan and proudest cheerleader; these pairings were designed with you in mind! 1. For the parents perpetually stuck ferrying their rugrats between school and soccer practice, give your sip and snack a boost with a yogurt tube and the Annex Ale Project’s Norm-Core Pale Ale. Upgrade to a romantic evening by sharing the crushed granola bar from the bottom of your bag with your partner and antagonizing that referee as a family. 2. September is a smorgasbord of postponed August birthday parties, not to mention all of the actual September birthdays! It’s go-time on the weekends, balancing multiple birthday parties and ballet before the sun sets on Saturday. Savour the delightful combination of a chocolate pudding cup and a fruity Malbec like the Humberto from Canale Estate, hidden in a travel mug, to remind you that weekends are supposed to be fun and relaxing. Layers of blueberry pie and vanilla in the wine will mix beautifully with the milky chocolate. 3. Too exhausted to make yourself a snack after staying up late to make your ungrateful kids their lunches? 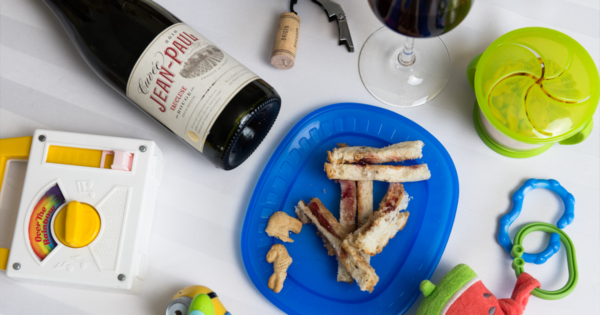 Munch those peanut butter and jelly sandwich crusts with a bold, jammy Cabernet Sauvignon like Vinovalie’s Terreo to match the fruit preserves and balance the acidity of the peanut butter. 4. On a crisp fall evening when you need a break, let the kids reign free in an unsupervised frenzy and take a moment for yourself. Sneak away with a peelable string cheese stick, and devour it as you slam and lock the bathroom door to keep their tiny, sticky fingers out. Open your secret bottle of Cab Sauv (we recommend strategically placing the Avia Cabernet Sauvignon all over the house) and run yourself a hot bath with some stolen, yet effervescent Paw Patrol bubble bath. To help you survive the month, we’ve combined all of these delicious and necessary bottles into the perfect #ParentPairings mixed package, available to members now, at WineCollective.ca. Students! You’ve slogged through twelve years of mandatory schooling, and now you’re making your higher-level path with post-secondary! With all of the lectures, labs, and late nights writing papers (or bonding with classmates,) we’ve paired classic comfort foods with fabulous alcohol! All hail grading on a curve! 1. Fall is here, and it’s time to replace the school supplies that disappeared over the summer! For the old school yellow pencil lovers out there, WineCollective Two is the beverage of choice. Sharpen your writing utensils and sip on the wine that surpasses all expectations (just like you, right?) This Shiraz is going to accent the mineral smell from pencil shavings and add a tart cranberry note with a hint of vanilla, to accentuate your hidden potential. 2. When your paper is due Friday evening, make sure you sustain yourself with some classic one-minute ramen. Boil the water, throw those crunchy noodles in a bowl, and prepare to scald yourself because it’s seriously hot! 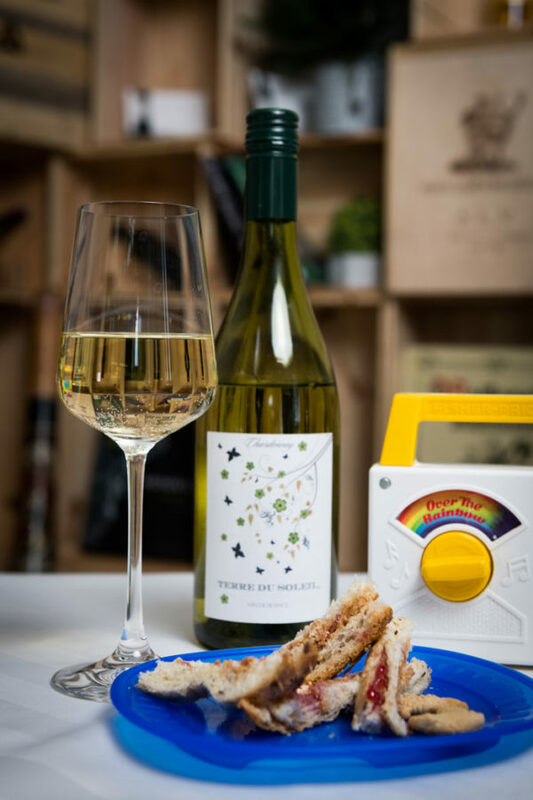 Pop open a bottle of Cuvée Jean-Paul to cool down and enjoy the matching savoury notes from the rustic herb flavour in the wine, with the mystery spice satchel from the ramen. 3. Proven* to help with synonyms when other words escape you, this pairing is a sure-fire hit for late night writing sessions (and asking for extensions!) Grab a slice of leftover pepperoni pizza, borrow your neighbour’s ice bucket and crack open a refreshing bottle of Più Gioia Pinot Grigio. Let the vegetal and herbal notes of the wine create a full meal with the microwaved tomato sauce and sausage playfully mingling. When the cold frost blows across campus and getting to the dining hall involves crossing the vast Arctic tundra that now separates you from lunch, opt for the Asheville Brewing Ninja Porter instead! Hunker down somewhere warm and enjoy the roasted coffee to keep you awake, nutty chocolate for sustenance and sweet caramel as a bonus treat! A+ for this delicious combo. Let’s face it, the holidays have a way of sneaking up on us. That doesn’t mean that your loved ones and ‘besties’ aren’t important, but sometimes your best intentions of gifting the perfect present gets pushed to the last minute. While you have been busy attending school winter concerts, company parties, baking dozens of cookies and prepping for family feasts, we have put together some of the easiest and most enjoyable holiday gifts. All gifts are available to purchase until December 31st – you have tons of time! 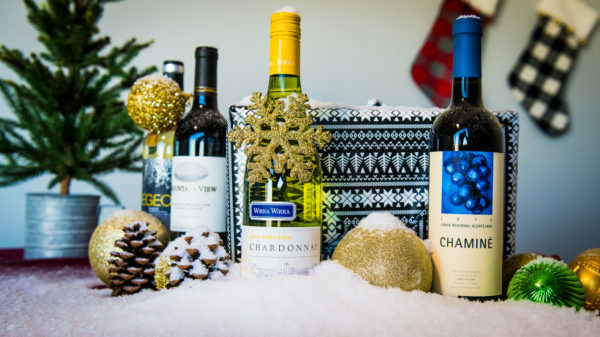 All gifts begin shipping in January – give them wine/beer when they need it the most! 12 month gift options – your present lasts all year! Bonus *FREE bottle of wine/beer each month! *Free bottle is a $25 wine or $15 beer gift card included in each month, in the 2-12 month gift options. Continuing to compare the similarities between beer and wine, we use some of the same framework when evaluating the style and quality. Appearance, aroma, body and finish all translate from wine to beer. With tasting beer, there is greater emphasis on the body and taste, less on colour and aroma. So, when you enjoy a brew, do you think about it the same way you might with a glass of wine? If you always find yourself cracking open a Pilsner, what wine would suit your tastes? Or if you can’t get enough of Zinfandel, which beer style would you be equally enchanted with? WineCollective has taken key descriptors of beer styles and matched them to a corresponding wine. 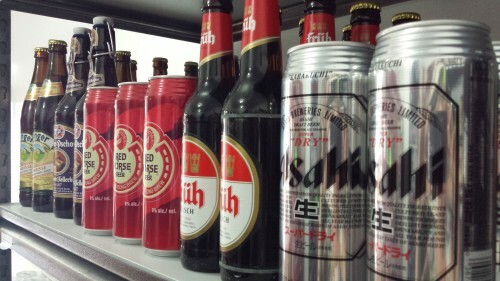 Lager is a wide net that catches many different sub-categories. From an American light Lager (Coors and Kokanee) to Dark Lagers and Kolsch. 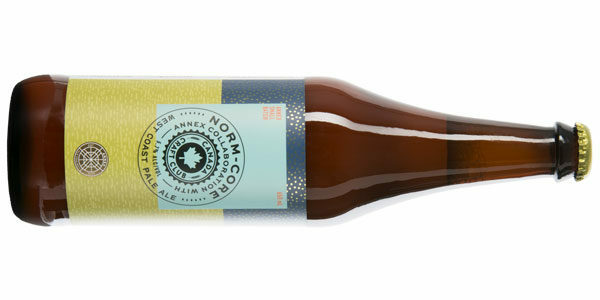 Generally, medium to light bodied, with little malt aromas, neutral flavours and low bitterness (IBU). Think of the addition of stronger malt flavours as a more complex, barrel-fermented Pinot Gris. 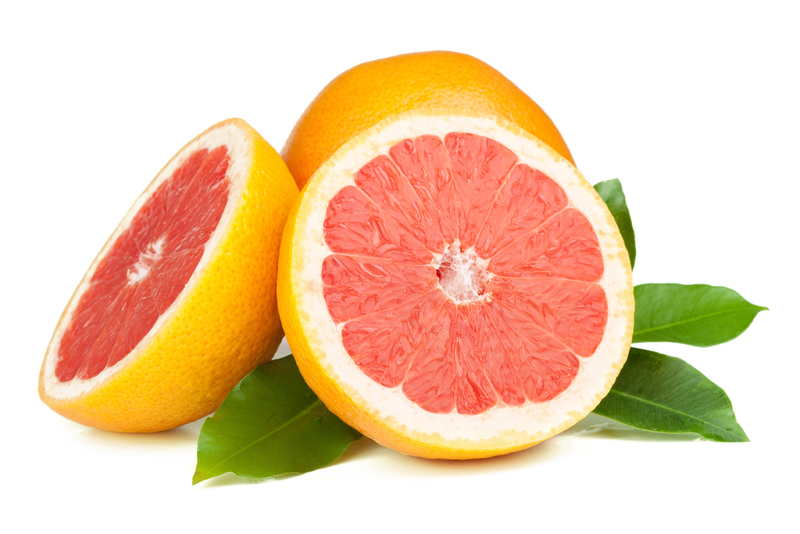 Sours generally are light bodied, have low bitterness, moderate alcohol, and higher carbonation. Flavours range through dough, from the malt, and lemon to tart apple. Champagne, Prosecco, Cava and Cremant all offer the similar balance between acidity and sugars. Pair your Sours with the same sparkling pairings, like salty foods, shellfish and fried foods. Porters are medium to full bodied with strong dark malts, sometimes with a slight burnt quality. Chocolate, coffee and grain, with a off-dry finish. Tempranillo from Toro or Rioja, where Reservas are aged in oak will give high alchohol and chewy weight. 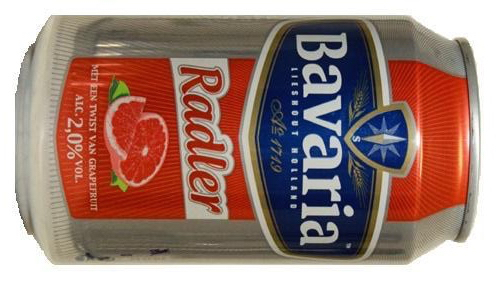 A German Wheat beer has high carbonation and a dry finish. Expect a round, fluffy mouth-feel and medium/light body. Absence of bittering hops gives the perception of ‘sweetness’. The minimum 50% malted wheat and yeast used give flavours of clove and banana. This style will be best replicated in a barrel-fermented Chardonnay, with a plush body and vanilla oak notes. Made with dried grapes, produces high alchohol, rich bodied wines. Stouts will range between 8-12% abv and are full to very full bodied. The flavours indicative of Imperial Stout can often include roasted malt, tar and dried fruits like prune and raisin. The finish ranges from dry to moderately sweet. Like the Lager, Ale is a wide category with many sub-styles based on the ingredients and origins. 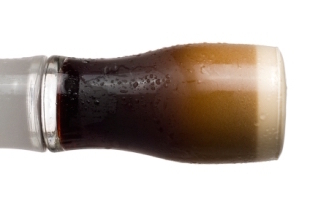 An American Brown Ale is a balance of solid malt and hops with chocolate and caramel flavours. 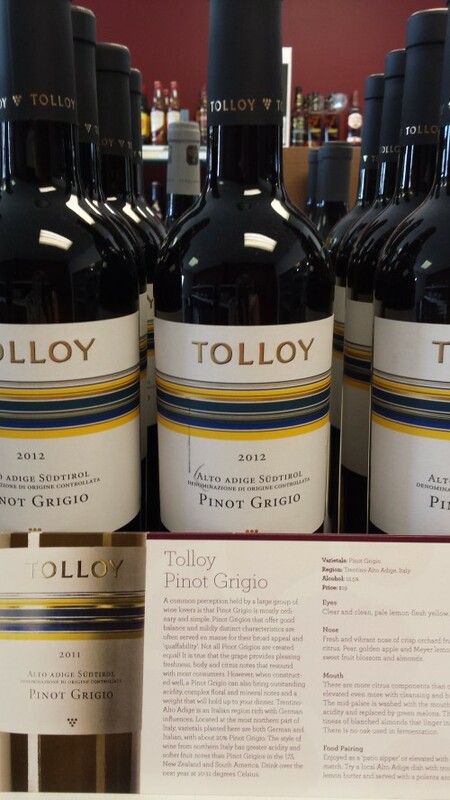 We think that a refined and aged blend of Cab and Merlot also offers the richness and toasted/nutty notes of oak. IPAs are distinguished by the strong bitterness. The hoppy bitterness of a standard American IPA ranges from 40-70 IBU (your palate can’t identify bitter units past 100). We wouldn’t classify wines by bitterness, but instead we will partner IPA with wines with equally bold characteristics in tannin, spice and body. Syrah, Aglianico or even Pinotage. 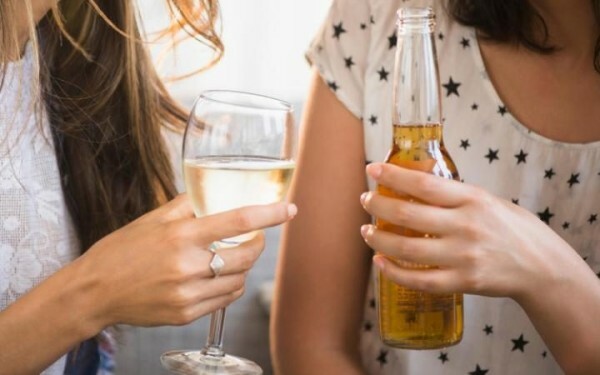 What is your go-to beer and favourite wine? Let’s see if we can find some correlation in our palates. Leave your comments below! Interested in exploring Craft Beer even more? Don’t forget to check out Canada Craft Club! With the emerging and rapidly growing popularity of craft beer, you would think wine-os and beer geeks would find some common ground. Why is there such a divide, can’t we all just get along? In the US, breweries quickly multiplied through the early 1900’s, before prohibition killed most production. On average, two new breweries are opened per day in the US, setting the pace to pass the previous record of 4,131 in 1873. Hard to believe that just in 1983, there were only 80 breweries in operation. The craft beer trend has catapulted in the last two decades! No one is going to argue the growth of the craft beer movement, but what makes beer such a popular choice? Accessibility? Casual culture? Affordability? And why does someone need to identify with one alcohol over another, can you equally be a wino and a beer geek? Wine and Craft Beer have much more in common than you might think. Ancient production was handled mainly by monks. Beer (in northern regions) and wine (in southern regions) to hydrate troops instead of water. Both production was advanced with modern advances in biology and chemistry. Not to mention, both industries have the same risks and hurdles: at the mercy of nature and production of agricultural crops, transport to markets is costly and timely, imposition of high taxation and finicky regulatory bodies. So lets stop the name calling. Wine lovers are not snobs and beer lovers aren’t just hipsters. 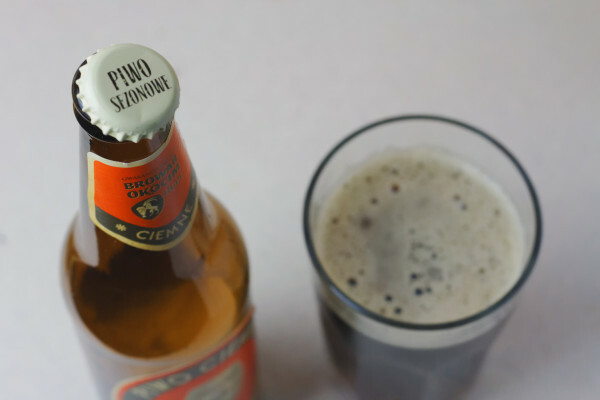 We can appreciate both beer and wine equally without alienating our passion for either. Education is key to acceptance and understanding. Ask your bartender to challenge your palate with a Stout, or visit your local wine boutique to learn about Beaujolais Nouveau. Resources for more Wine & Beer-ducation! Wine & Spirits Education Trust (WSET) – courses offered globally at all levels, from beginner to Sommelier. WineCollective.ca – monthly wine club in Canada, delivering new wines each month with detailed tasting notes and educational information. Tasting Beer by Randy Mosher – study up with this guide! Wine Folly– book, blog, videos, posters and more! Cicerone Canada Certification– courses for the passionate and professional. Or, visit our new friend, CanadaCraftClub.ca for monthly beer club shipments across Canada. Receive new brews each month with information on style and tasting notes! When given the choice of green beer or green Champagne, the WineCollective team will always reach for bubbles – even on Saint Patrick’s Day! 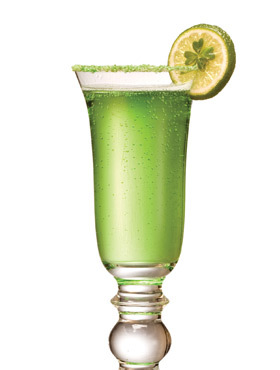 While the Irish may be more famous for their beer intake over wine production, we think crafting flavourful green bubbly cocktails is a much better route than indulging in food colouring. Liqueurs like Midori and Crème de Menthe create a vibrant green colour that does not diminish when mixed with bubbly wines. So, for wine lovers looking to celebrate on March 17th with their Irish friends, here’s some delicious bubbly cocktails that won’t leave you feeling left out, should you choose to pass on green beer. 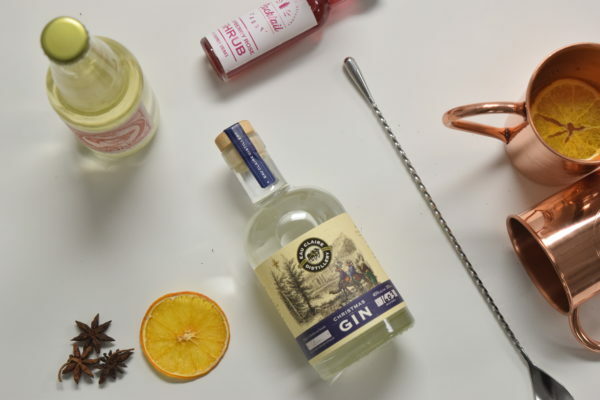 We’ve recommended both a sparkling wine and Champagne to use in these cocktails, both of which are available in the online store, and at Highfield by WineCollective. Chardonnay and Pinot Noir. Orange blossoms, apricots, peaches and green pear aromas and flavours with vigorous yet delicate bubbles. Textured and weighty, this sparkling has all of the components necessary to stand out in a cocktail. Pinot Noir, Pinot Meunier and Chardonnay. Citrus and pink grapefruit with apples and pears. Soft bubbles and a touch of minerality make this a complex and finessed Brut Champagne. Skip the OJ, Midori is a sweet melon liqueur that works as a mixer for this mimosa cocktail. Use the recommended dry sparkling or Champagnes, or similar styled bubbles, as the liqueur is sweet enough to lift the character of the wine. Pour 1 oz. 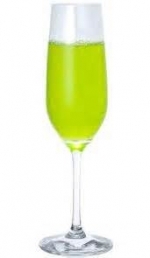 of Midori into a Champagne flute and mix in 1/3 oz. sweet and sour bitters. Then, add 4 oz. of either Champagne or sparkling wine! Ireland is not only known for its green lush meadows, but also its orchards and of course, WHISKY! This cocktail celebrates Ireland while of course, adding in some bubbly flair. Fruity, minty and green! Pour the wine into a flute glass about half way. Add 1 oz crème de menthe, 1 oz citrus or pear liqueur and 1 oz Irish Whisky (we recommend Writer’s Tears). If you try a yummy green drink next Tuesday, be sure to send us a picture on Twitter, Instagram, or Facebook. We love to see what our members are sipping on! 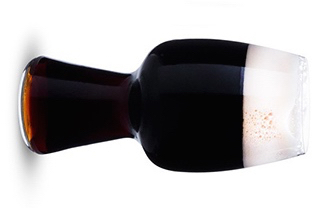 For the next week, March 10th – March 17th, members will receive 15% off all products mentioned in this blog including the Undurraga Brut, Liebart-Regnier Brut, and Writer’s Tears Irish Whisky at Highfield by WineCollective. 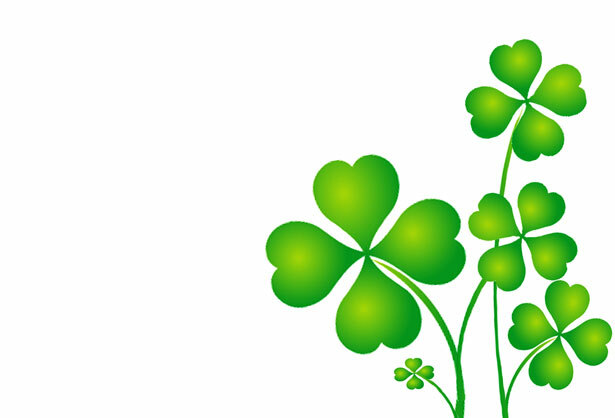 Even more, all Irish products will also be 15% off including Jameson Irish Whisky, Baileys and Guinness beer! After moving in to our new store location this past summer, we realized that Highfield by WineCollective has one of the coolest neighbours in Calgary. 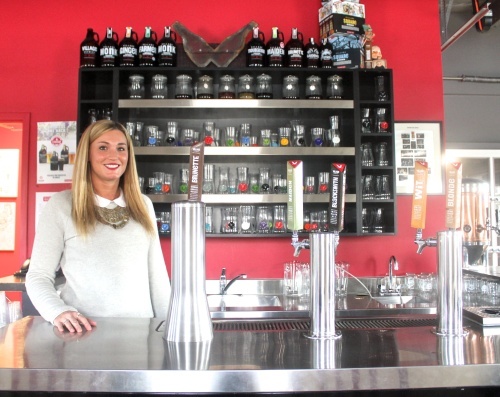 Village Brewery just turned three years old this past December, yet their increasing popularity has made a great impact on the Calgary craft beer scene. Over my new favourite Village brew, Brunette, I got the chance to chat with communications and beer expert Jake on Village’s past, present and future. Village is made up of 7 partners, including brew master, Larry Kerwin. From sales to dismantling old breweries, these guys have over 100 years of beer experience combined. Even with immense knowledge of the beer world, Village partners started spreading the word by door-knocking at local bars and pubs. They were after all, looking to create beer by and for the village people… of Calgary. This spring, Village is reaching its 1000th brew. Its products are also now available through out Alberta through Liquor Connect. Through their milestones, the brewery remains dedicated to the Calgary scene. “Calgary is the market we brew for,” says Jake. Several years ago, Village created their first beer, the Blonde. From that point, frequent additions have been made to their line up which now includes the Wit, Blacksmith, and Maiden. Seasonal brews such as the Brunette come and go, but with much popularity and pleading, the beer may become part of the everyday selections. 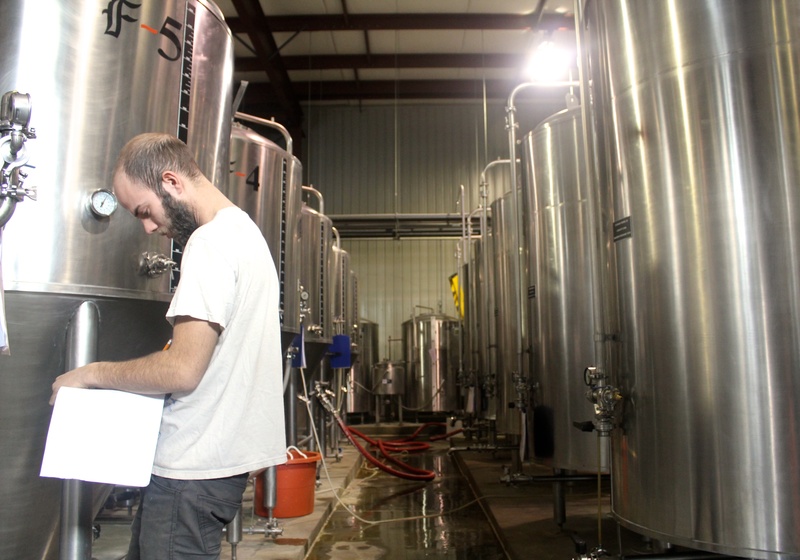 Creating new beers at Village is a very involved process. 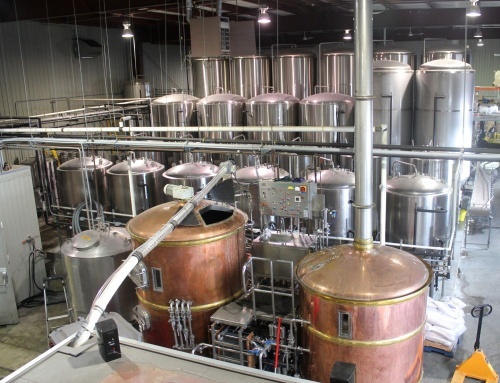 Brewers and partners of Village meet frequently to discuss upcoming trends and interests in order to decide on the next styles of beer to brew. However, it is always a family connection that forms the next character. For example, the delicious and dark Blacksmith was named after a great uncle of one of the brewers, who was of course, a blacksmith! 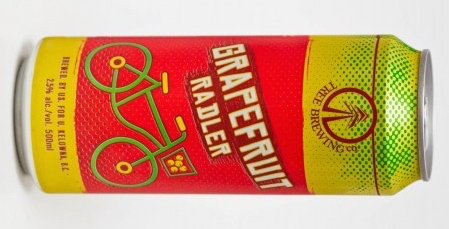 Not only are the beers named after that connection, but the entire style of the beer and package design is created in their image. You can even find each story on the bottom of every Village beer and package. The reason for craft beer’s popularity is because “the best beer is fresh beer.” Not only are you drinking a brew that was bottled days ago, Village also uses as many local ingredients as possible. “We get great malts from our prairies and partner with Village gardeners who grow hops for us.” Jake says that local honey and lavender are also sourced, and in return, Village gives all of their spent grain to local farmers who use it for animal feed. 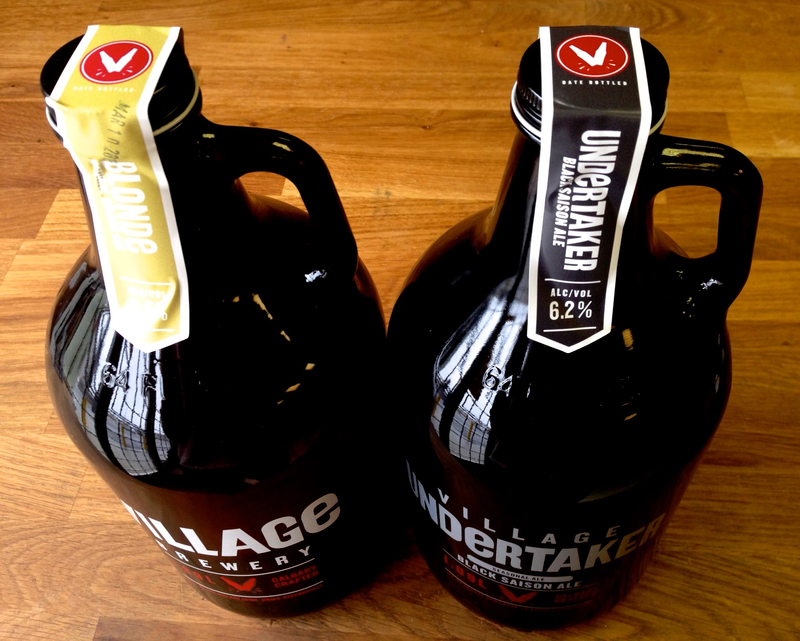 Village Brewery does not stop at agriculture when it comes to supporting local initiatives. To start, 10% of all bottom sales go to local charities in support of the arts. “We want to be a positive part of the Calgary community,” Jake says. Each variety pack uses a different artist to create the artwork displayed on the case, and you can even find their information on the package. 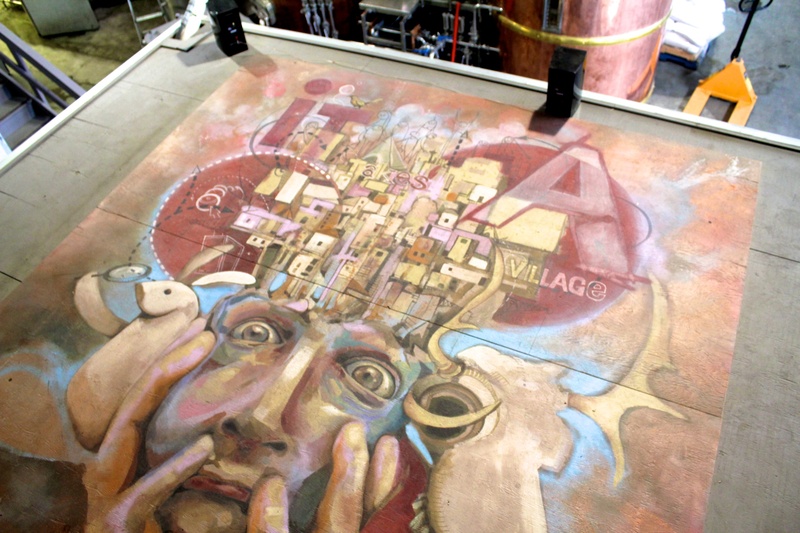 In addition, you will find numerous paintings and even Village Brewery merchandise around the brewery and tasting room, all of which are for sale with 100% of proceeds going back to the artist for their work. You can now find all of Village’s products in Highfield by WineCollective, including their delicious growlers at discounted member pricing. But, before or after your wine stop, take a turn around the corner. Village regularly hosts tours and tastings for only $15, including this upcoming Saturday, January 31. What’s in store at Highfield by WineCollective? 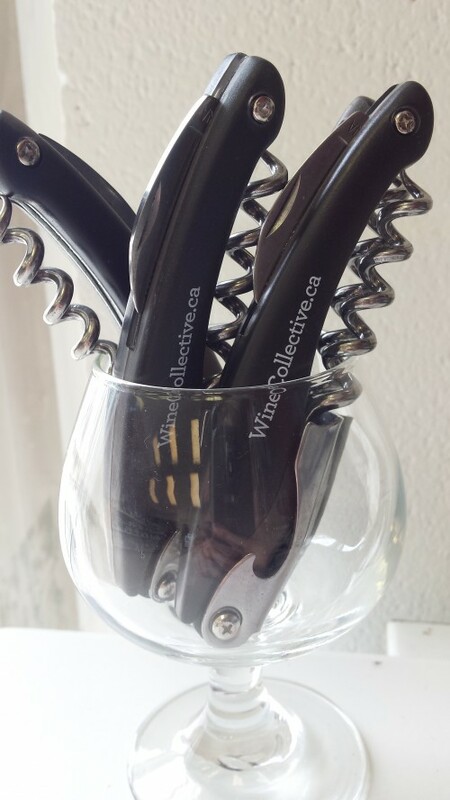 By now you might have heard, WineCollective has a retail location in Calgary. We think that you should come visit us soon! We have some of your favourite past WineCollective features available, as well as wines that were shipped recently in July’s packages. 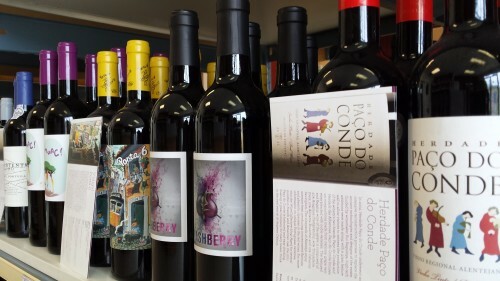 You can also find wines never before featured on WineCollective, and some great finds from Tannic. If you are unsure about a wine and have questions, Leah or Larissa will be available to help you find the perfect bottle. The handy WineCollective tasting cards will also be available, giving you tasting notes, producer information, and suggested food pairings. If wine isn’t your thing, or you need to stock up on beer and spirits, we can help you out! There is an eclectic selection of domestic and foreign beers, as well as Canadian made Ungava Gin. Remember, all WineCollective members receive 20% off their purchase until the end of August. If you are not a member and would like to join WineCollective, use the coupon code “NEWSTORE10” to receive $10 off your first shipment. There are lots of perks to being a member! These guys are handy to have around, although we have been known to bang a bottle with a shoe or phone book! Some of our favourite past WineCollective features have been brought back and are available at Highfield Liquor by WineCollective. 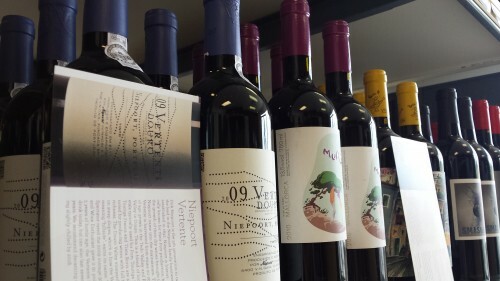 The Niepoort Vertente was shared with WineCollective members in their July packages. There are a few bottles left in the store! There is something for everyone, even exclusive offerings Truchard. The Reserve Cabernet is only available at Highfield Liquor by WineCollective. 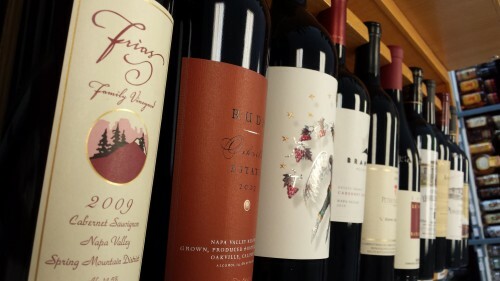 Wines that have been featured on Tannic, including Frias Family Vineyard, Trefethen Halo and Rudd. WineCollective tasting cards are available for all previously featured wines. Some of our favourite new arrivals! We have some exciting news to share with you! The first ever Canmore Uncorked is taking place starting today through to April 12th. The food and wine festival is celebrating the great dining and drinking experiences found in Canmore. Fellow Calgarians will agree, we rarely need an excuse to visit Canmore. The scenery, people and limitless activities found in the town are more than enough to persuade us to make the hour long trek. Give us a festival to further indulge in the bountiful culinary experiences of Canmore, and we can’t say no! 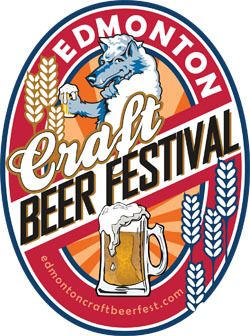 The 10 day event includes a craft beer festival, featured menus at 26 restaurants, cooking courses, progressive dinners, and concludes with a wine festival. WineCollective will be in attendance at the wine festival on April 12th, and we would love to see you there! 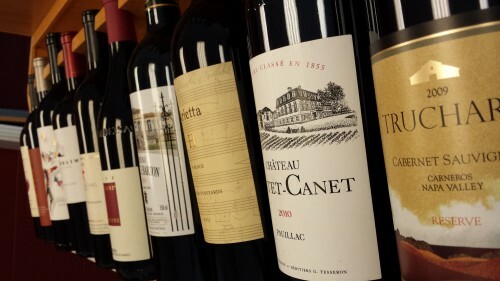 Long-time WineCollective members might recognize some of the 80 wines being poured. There is a great selection that represents many boutique producers from around the world, and also includes a handful of Scotches. Saturday, April 12th from 7-10 pm. 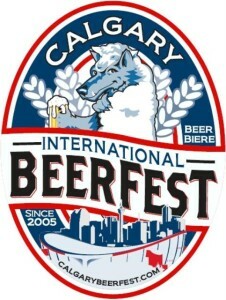 Tickets are $45 and can be purchased in advance at canmoreuncorked.com. Your ticket covers the cost of the samples! CanmoreUncorked has all the information on the week’s festivities, including the wine festival on April 12th. You can also visit Tourism Canmore for details on accomodation, and other attractions while you are in the area. We hope to see you in Canmore, WineCollective is looking forward to hearing about your Canmore Uncorked experiences!